What if the key to healing your body was already inside you? 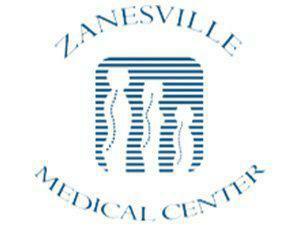 At Zanesville Medical Center in Zanesville, Ohio, regenerative medicine is changing lives, one patient at a time. Using mesenchymal stem cells, this innovative and research-backed procedure enables your body to regenerate new tissue, boost your immune system, and even delay the aging process. To learn more about regenerative medicine, call the office or request an appointment using the online tool. Mesenchymal stem cells are naturally found in adult placental tissue, as well as our own bone marrow, and they have potent healing properties that allow your body to repair damage, fight inflammation and disease, and even reverse the signs of aging. During a regenerative medicine treatment, your Zanesville Medical Center physician will inject adult placental mesenchymal stem cells as well as a growth factor and hyaluronic acid into the areas of your body that need healing or repair. After this process is complete, the mesenchymal stem cells regenerate into the different types of cells that your body most needs to repair itself. As an efficient and easy way to address common health problems like soft tissue repair or wound healing, regenerative medicine is gaining popularity because of its reported effectiveness and its quick recovery time. What happens during a regenerative medicine procedure? A regenerative medicine procedure is usually quite fast and painless. Your physician will give you a local anesthetic to make you comfortable. In most cases, your physician will use adult placental mesenchymal stem cells for this regenerative treatment for the osteoarthritic joints that are causing problems. Some patients might have more than one treatment over several days or weeks. It’s unlikely you’ll experience any negative side effects, and most people can get back to their normal activities right after the procedure. Regenerative medicine can be a viable alternative to more invasive healing methods, like surgery. Surgery is often painful, can result in long recovery times and infection, and may leave you with a loss of mobility or function. In contrast, a mesenchymal stem cell injection is a 15-minute procedure that has no recovery time and has no reported adverse effects. Since mesenchymal stem cells only create and grow what's needed ― like cartilage, ligaments, tendon, muscle, bone, or nerves ― they reproduce at the site until the job is over. That allows your body to repair itself, which is always the preferred option when it comes to your health. Ultimately, regenerative medicine is treating the cause of the problem and has the potential to change patients lives for the better. To learn more about regenerative medicine and to book an initial consultation today, call Zanesville Medical Center or use the easy online scheduling tool.